Criminals were forced to pay $250-$400 on the black market for guns valued at $50 – $100 on the legal market. Gun Owners of Vermont analysis: This is the most ridiculous argument Gun Sense has released to date. Any firearm that supposedly sells on the “legal market” for $50-$100 is most likely unsafe, or inoperative. Most quality firearms are above $400, many are $800+. But, stolen firearms, valued at $800+ can be readily disposed of on the Black Market for bargain prices! This statement originates from a 2013 MAYORS AGAINST ILLEGAL GUNS report (aka Michael Bloomberg, aka Everytown for Gun Safety), Gun Sense once again parrots the Bloomberg mantra as fact. 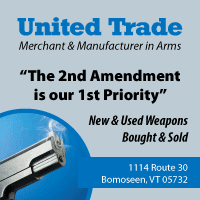 Gun Sense wants legislators in Vermont to pass S.31 so criminals are “forced” to spend more money than they have to, to buy a gun illegally on the black market? Gun Sense Lie #2: The tighter we make the system, the harder and more costly we make it for criminals. Criminals don’t deserve to have the same easy, affordable access to guns that law-abiding citizens have. 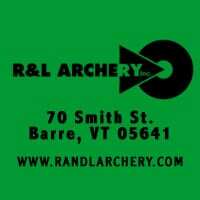 Gun Owners of Vermont Truth: I’m sorry, THIS is the most ridiculous argument Gun Sense has released to date! The tighter THEY make the system, the harder and more costly it will be for law-abiding citizens. Criminals will NOT obey ANY law and will NOT be effected by legislation like S.31. So, the very laws, like S.31, that attempt to prohibit a certain subset of the population from buying guns, actually CREATE the Black Market demand. This entry was posted in Statistics & Analysis and tagged Gun Sense, Lie of the Day, truth. Bookmark the permalink.